Despite assurances of a winning performance, it seems the Brisbane Heat are dependent on their big hitting number 3 after all. Sitting on the sidelines at the Gabba, Chris Lynn, the golden boy of the Brisbane Heat has taken time off to prepare for his debut one-day international match for Australia against a competitive Pakistan side. Without their six-smashing big hitter, the Heat stumbled to an embarrassing 27 run loss against the Perth Scorchers at the Gabba. To add to their woes, the Heat could also lose their captain Brendon McCullum for Tuesdays match against the Stars in Melbourne. McCullum faces a suspension after his team’s bowling inning’s extended past the allotted 90 minutes against the Scorchers. 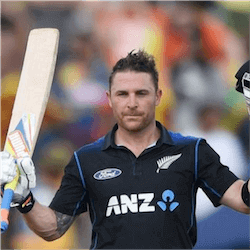 McCullum was also fined for having a slow over rate in a previous game against the Hurricanes in December. This being the second offence could mean a one-match suspension. Speaking to the press, Australian cricket coach Darren Lehmann, slammed the proposed suspension, stating that McCullum should definitely be allowed to play. For the Heat, the news goes from bad to worse. A win would have cemented their place in a finals going into their next match. 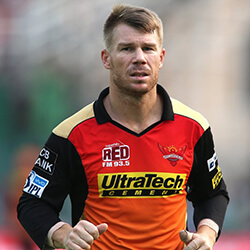 After insisting they could pull of a win without Lynn, the Heat allowed the Perth Scorchers to achieve a reasonably defendable score of 156-5. After restricting the Perth side to 32 for the loss of 2 wickets, the bowling lagged a bit, failing to dispatch Michael Klinger who went on to score 81 runs of just 54 balls. Despite chasing a relatively low total, the Heat just could not get going. McCullum started off with a few big hits before being taken out for a paltry 15 runs. 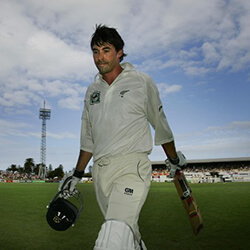 The loss of the captain left the side flapping in the wind at 26 for the loss of three wickets in the fourth over. Feeling the loss of their power hitter, it fell to Alex Ross and Joe Burns to bring some stability to the side. An expert catch by Agar got rid of Burns while Nathan Reardon and Ben cutting barely reached double figures scoring 12 and 16 respectively. Alex Ross eventually departed for 39 and it was clear that the game was going south quickly. 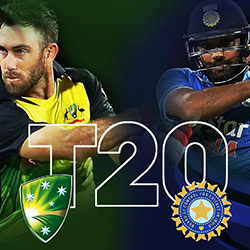 A hat trick from Andrew Tye dispatched the remainder of the team as the heat were completely bowled out for 129, just 27 runs short of a guaranteed place in the final.